As the opposition Movement for Democratic Change (MDC) elective congress slated for this May heats up, embattled party secretary general Douglas Mwonzora has castigated party deputy chairperson Tendai Biti and vice President Professor Welshman Ncube alleging the two are threatening to split the party again. Ncube and Biti broke away from the MDC in 2005 and 2014 on the back of misunderstanding with Tsvangirai. Speaking to 263Chat’s National Question program today, Mwonzora bared his soul spelling discipline to Biti and Ncube to safeguard party from disintegration. “We want everybody back. But coming back has its responsibilities as well. You don’t come back to the party in order to split it again. This is where I am a bit unhappy because some of these people are senior people, instead of uniting the MDC, some of them are now saying things which have the effects of splitting the MDC. We remained with Nelson Chamisa here when other people had left. We kept the party together. 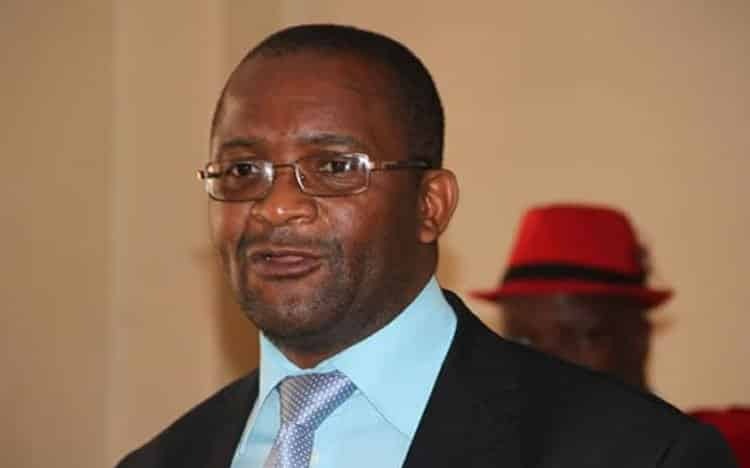 Mwonzora said he is not considering retaliation in the event that he wins the party presidency at the congress saying he holds a relative respect for both Biti and Professor Ncube. Mwonzora said the huge assignment that lies ahead of him in any event he wins the party presidency is to reunite the party with a view to help it rediscover its founding values. “The good thing about me is that I am not retributive by nature. My friends, my enemies as well will attest to the fact that I receive criticism quite well it’s the right of the people to criticize me without suffering any consequences. “What I will try to do if I were to contest for the presidency and win it is to reunite the party. Bring back the party to its founding values. This party has got values. These are the values we must live, democracy, tolerance, justice, fairness, solidarity all these have to be brought back,” Mwonzora said. Asked on whether he will consider walking away from the party if he lose in the forthcoming elective congress, the veteran politician knocked down the supposition pledging to support the winner and remaining faithful to the party. “Why should I? Democracy is the dictatorship of the majority. Once you put yourself up for election, you have to live to the two possibilities. The first possibility is that you win and that’s good for you. The second possibility is that you do not win. “So if you do not win an election you must accept that you have not won. You must accept that the other person has done better than you. So If I were to contest for that position and I do not win, I will serve under the person who has won,” he added.